The Food and Drug Administration (FDA) has approved apples and potatoes which are resistant to bruises and don’t go brown as safe to eat. Consumer and environmental groups are concerned that such products could have unknown risks to human health. In a rare press announcement on GMO crops, the FDA said the gene-altered apples and potatoes are good for commercial plating since they are "as safe and nutritious as their conventional counterparts". The decision increases these products’ chances of finally appearing on the grocery stores’ shelves. The approval covers six kinds of potatoes by Boise, Idaho-based J. R. Simplot Co. and two types of apples by the Canadian company Okanagan Specialty Fruits. The US Department of Agriculture’s Animal and Plant Health Inspection Service approved them as being safe in mid-February. This authority is, however, primarily concerned with crops not posing threat to other plants, while the FDA considers food safety. Okanagan Specialty Fruits developedthe so-called ‘Arctic Apples’ to decrease fruit wastage as slices which do not go brown look more attractive to consumers, and are easier to both transport and sell without spoilage. Scientists changed the strains’ genomes to cut the production of key enzymes which are involved in the browning process. The J. R. Simplot Company went further and said their Innate potatoes which resist the formation of black spot bruises, produce less acrylamide – a potential cancer-causing chemical– when they are fried. Despite the positive reviews from authorities, consumer and environmental activists have been opposing the new crop, insisting that genetically modified food may have potential dangers which are as of yet undisclosed. According to Greg Jaffe, Director of the Project on Biotechnology for the Center for Science in the Public Interest, "Congress should pass legislation that requires new biotech crops to undergo a rigorous and mandatory approval process before foods made from those crops reach the marketplace. Such a system would give consumers much greater confidence that all genetically engineered products have been independently reviewed and found to be safe." They also criticized the FDA for the "cursory" data checks given by companies producing such products. The FDA has been accused of using words and phrases that sound more like the company’s conclusion than their own. In particular, the letter to Okanagan says: "It is our understanding" that Okanagan "has concluded" that the apples do not differ much in safety and nutrition from other apples. Some apple growing companies, processors and exporters have already expressed their concerns that the GM apple will spoil the fruit’s image and deter customers. Okanagan Fruit Growers’ Association (BCFGA) president, Fred Steele, has said: "If you’re going to let the market decide, you’re going to have to give people a reference point to make a decision based on their personal purchasing habits, and I would assume that would be through some kind of labeling. If the Artic Apple isn’t labeled as a genetically modified (GMO) product, consumers who don’t want to buy modified foods might want to stay away from all apples, including those that are non-GMO." There are also concerns that apple exports to countries which do not like GM products may be hit as well. It’s still not clear if Okagan and Simplot will label their products. FDA is currently reviewing two petitions to require labeling but the decision is yet to be made. Simplot’s spokesman Doug Cole also says their company is selling seeds to growers and cannot be responsible over whether the final products will be labeled or not. But the company would urge their partners to label the products in a way which points out its benefits like saying ‘less bruising’ just as it is done with seedless watermelons. 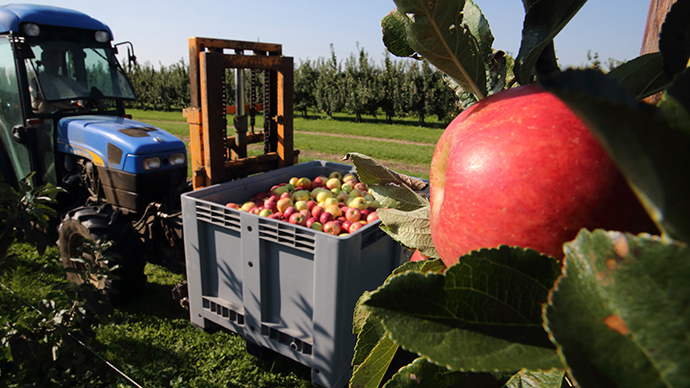 The first apple crops are expected on the US market in 2017. Potatoes may become available in just a few months.